Justine M Couture has been synonymous in the bridal world for 15 years with impeccable quality and craftsmanship. Justine Murray, from the east coast of England, resides in San Diego. The entire collection is hand-finished in her Solano Beach studio by a team of expert artisans. While Justine M is known best of their veils, they also offer a range of stunning belts, sashes, and headpieces. Enamel flowers are hand painted and hand pressed, Swarovski stones are applied one by one, pearls are wire-wrapped and French woven using traditional techniques. 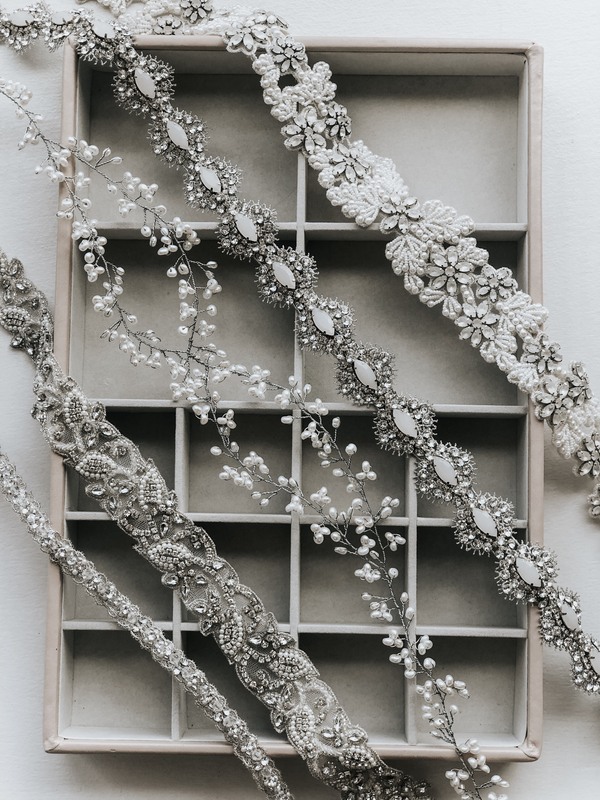 Their designs are built to last and are a true labor of love to be cherished and passed down as heirloom treasures for generations to come.Worn by Emmy Rossum, Nicki Minaj and often featured on TLC's Say Yes to the Dress, Love is proud to offer Jacksonville brides the best of the best.